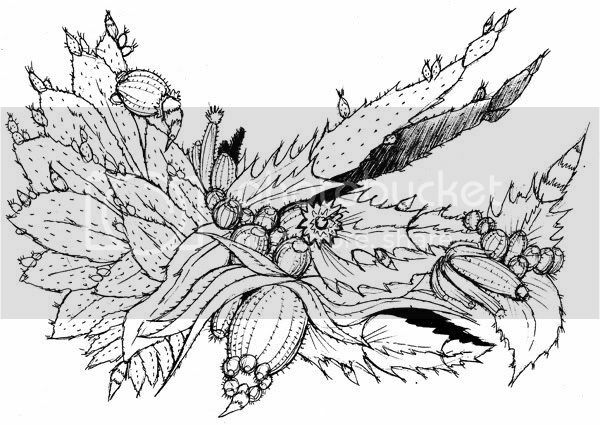 BoysWhoDraw is an awesome new collective that consists of some amazing talent from around the country. Simon Wild, Simon Corry, Mister Millerchip, Neil Keating, Dave Bain, Steve Rack and me! 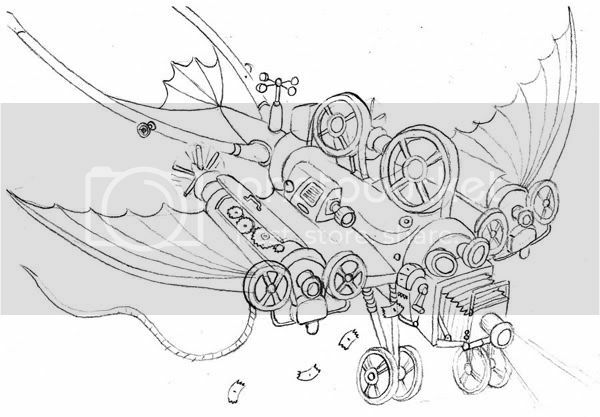 More news on forthcoming projects soon. Brisuanadon sighted in Hong Kong! 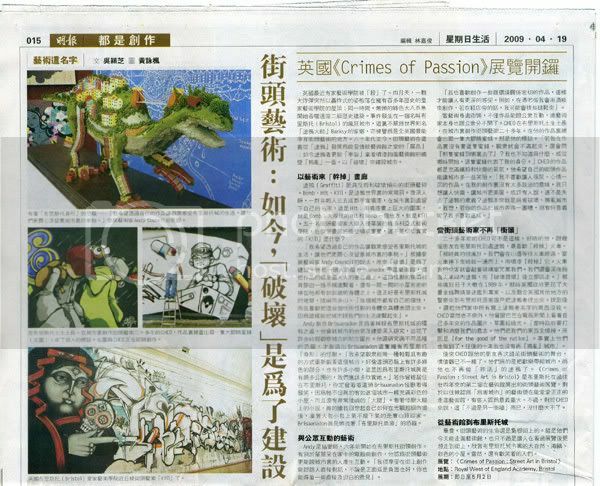 The Crimes Of Passion Bristol Street Art show at the RWA had a feature in Hong Kongs Ming Pao Daily News. 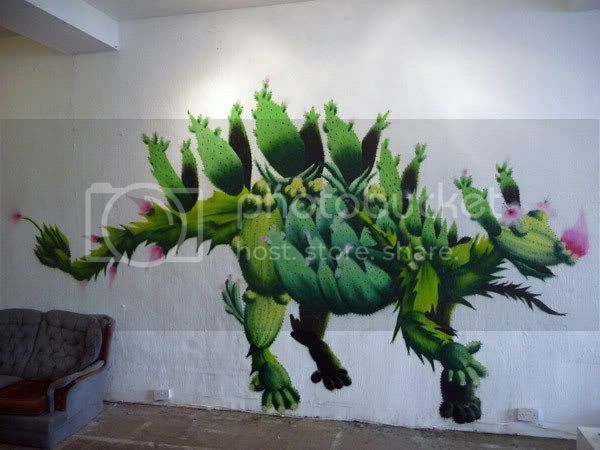 Cheo and myself were interviewed and Brisuanadon is pleased to have a pic of him in the feature also! Here's an online version of the feature. A translated version of the page which reads a bit odd is here. Flyer design for the Play It By Ear night in Camden, London. 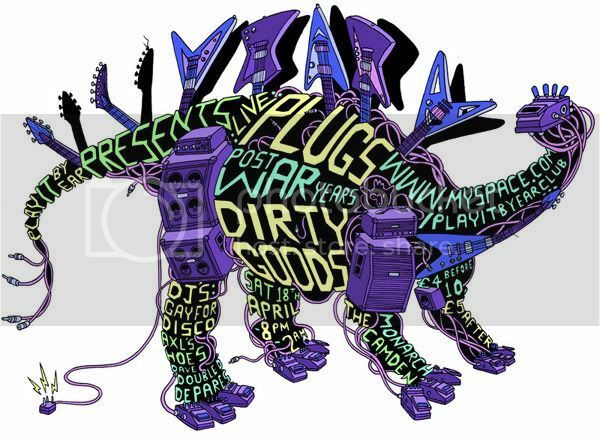 Dinosaur is made up of cables, plugs, amps, speakers, effects pedals, guitars and neon! 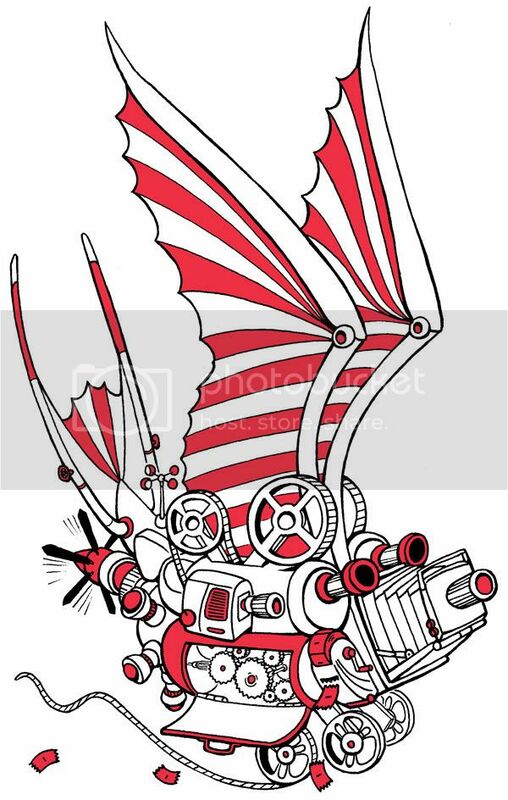 The Bushbaby logo of the night is also in there as wires behind the front leg. For details on the night - read the dino! 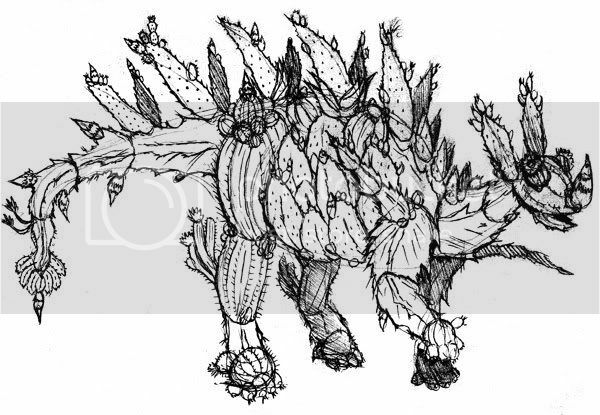 This is a Stegasaurus type beastie made up of cactus plants. It is all painted with spraypaint except for the little spikes, which I did with brush. He is quite a happy, if a little stupid dino as his brain is only the size of a walnut! He has blossom for eyes and horn nose. 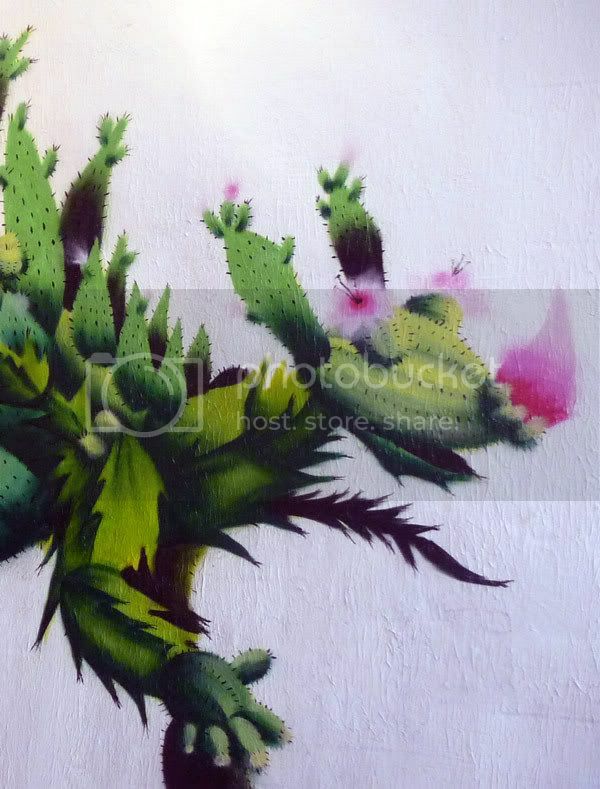 Painted on the wall of the Emporium in Bristol as part of the ‘Stokes Croft Herbarium’ exhibition which mingles together plant specimens with works of art that draw their influence from the plant kingdom -creating the impression of a botanical garden/art gallery hybrid. 11am-6pm daily from 11th-18th April. There was home-made nettle beer, a box or two of plonk and a bit of music at the exhibition's preview, which was jolly good fun. 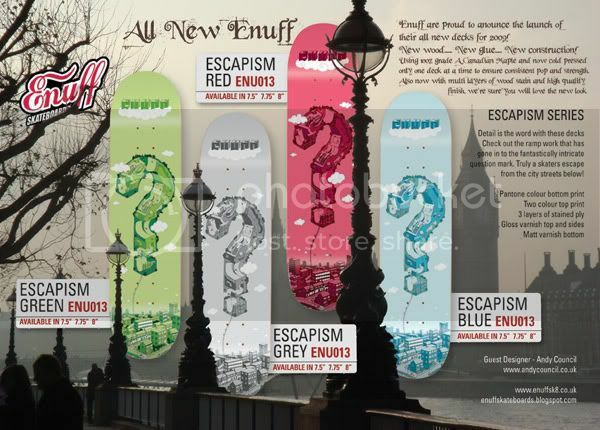 Enuff Skateboards have launched their new Escapism series of decks that feature my design in four different colours! 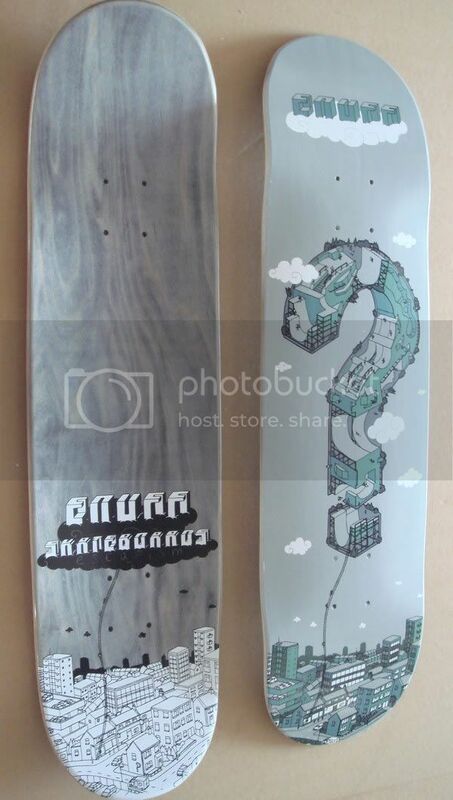 I have taken their question mark logo and turned it into a giant MC Escher like floating skatepark that offers skaters escape from the city streets below. The decks feature a Pantone colour bottom print and a two colour top print. Three layers of stained ply, gloss varnish top and sides and matt varnish bottom. Check out Enuff's catalogue, blog and website. I based it on a sort of Swallow shape which then gave me the idea to do my recent Gunship Swallow painting. Here's a couple of alternate designs I did before coming up with the final which I think are pretty cool also. Here's a couple of pics from the opening night of the Urban Scrawl exhibition from just over a week ago. 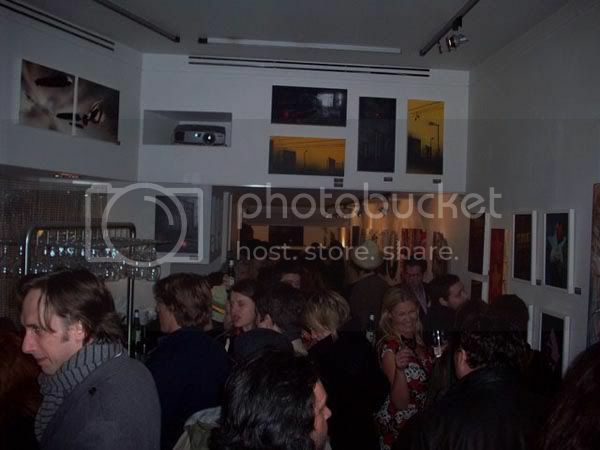 The show is at 269 Portobello Road, London W11 1LR; Nearest Tube - Ladbroke Grove and runs till Sun, Apr 5th 2009, 10:00PM. 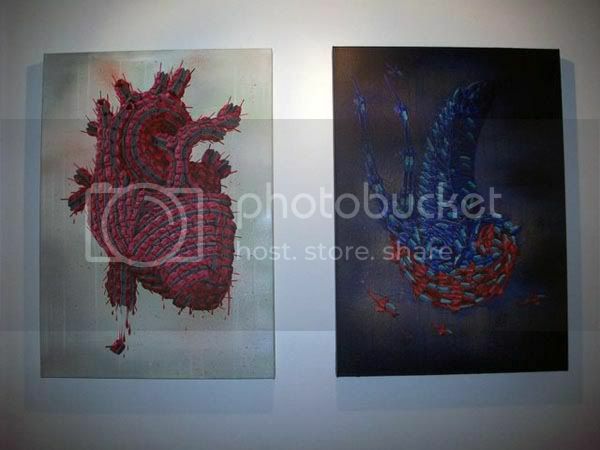 Work from the show is available to buy online here. Check out Dazed Digitals review of the exhibition. 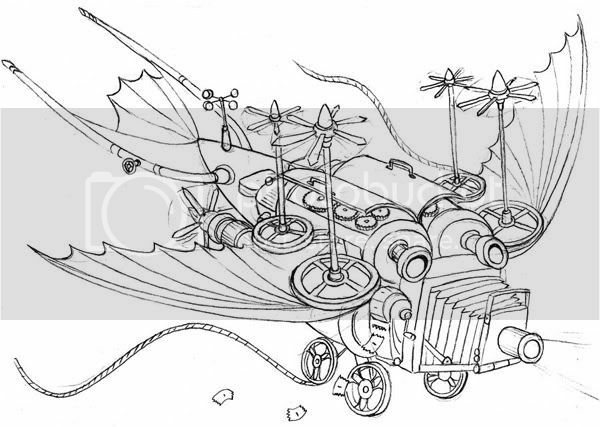 There's a nice little interview with me on Blueprint magazine's website. I have a bit of a chinwag about telecom towers and stuff. I recently had my work featured on the Reader's Art section of Juxtapoz.com! Find it here.